PA12/06049 – Land Adjoining Existing Pentewan Retail Park Pentewan Road. Construction of New food and non food superstore with associated service yard, customer car parking. PA12/ 10096 – Land At Coyte Farm St Mewan. A large out-of-town Shopping Park, petrol station, pub, car park and other associated works. The meeting was packed with over 200 people in attendance, leaving standing room only. It was disappointing that while the crowd were very well-behaved, they only talked about one application, and that was the Coyte Farm. It was like the other two applications were forgotten during the evening. In total 50 people spoke, and the split for Coyte Farm was 15 for, 26 against the application. There were nine who made comments, but did not come down either totally pro, or against. Sadly, one person decided to threaten the committee members with a Judicial Review if Coyte Farm was not turned down. Threats like this are not welcomed, and I am pleased to say are ignored. I feel these public meetings really work, as it give the wilder public a chance to give their views as not everyone can speak at a planning committee. These three applications will be heard and hopefully decided in March. It is often said a supermarket once it gets a foothold in a town will over a period of time destroy that town. Yes, it will have an effect on that town, but it is not the supermarket that kills a town. It is the people of that town who kill it by being lured to the new and shiny supermarket. If we just resisted that lure maybe, just maybe our town centres would be in a better state. Around two years ago Helston saw one of the new batches of Sainsbury’s get built and open. At the same time the already established Tesco got its ‘extension’. Two years later how has this huge increase in retail floor space affected on Helston and the surrounding areas? Well, I’ve had a report carried out on the impact to Helston after two years of these supermarkets trading. I managed to convince the people from Sainsbury’s at the Wadebridge application to pay for an independent report. I think Sainsbury’s was so keen on getting planning permission they would have agreed to almost anything. I have now got this copy and it makes for some very interesting reading. Now conspiracy theorist could claim the report will be biased because it was paid for with supermarket money, but I am not a fully fledged member of the conspiracy club. It is though the first report that’s been carried out since a large scale supermarket development has happened. So it would only be right to give it some credibility. The perception is a town will suffer and in this report it does show a decline in the town centre, but it is not as bad as popular myth claims it is. The area that has suffered most is in comparison goods (non food). I have felt for a long time the real impact a supermarket has on a town centre is on the non-food goods. It is one reason I have been fighting for a maximum of 20% of comparison good in any new supermarket development. This report gives weight to that theory of mine. The report also shows that town centres have the knack of adapting to the demands and economic situations. If one type of shop closes it is replaced not by the same type. Helston has adapted in this way. Helston has some very good independent and specialist shops. Like the owner of the hardware shop has just opened a toy shop. Knowing this owner this new toy shop is no punt. I am not saying supermarkets don’t have an impact as they do. It is just how much of an impact they have. This can be controlled by sensible conditions that restrict certain types of goods. Parking charges also have a part to play in making sure a town centre is healthy. The cost of running a shop plays a big part and there should be more help in rate relief or some other type of incentive will help greatly. These running costs can be just too high for a shop to be profitable, and therefore survive. At the end of the day the real power is people power. If a few more of us shopped a little more in the town centre, and less in the supermarket beast this would help. Anyway, let me know what you thought of the report. The battle between two of the nations big boys of supermarket took place today at Cornwall Council’s Strategic Planning Committee. The target, Wadebridge. Now both of these supermarkets had almost similar plans, and roughly the same store size. Both offered large amounts of money in 106 contributions, but there could only be one (in supermarket terms) winner. 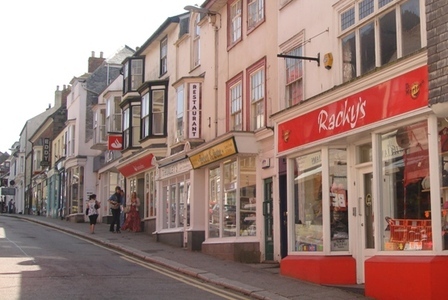 Both claimed to have local public support; only Sainsbury’s had support from the local parish and Wadebridge Town Council. The difficulty in all of this is one application had to go first to state their case. Sainsbury’s won this battle too. When quizzed (by myself) and others as to why Sainsbury’s was first the simple answer was they got their application in first, and Morrisons had some outstanding landscaping issues. This point last point was deigned by Morrisons. The issue facing both application is in the independent report (many will disagree with it) by GVA it said Wadebridge could support only one additional supermarket. In any planning application when independent information is presented it can either be used for, or against the proposals. If a report says there can be one more and you say no, you can bet your last pound this report would be rammed down your throat and used against you in the almost certain appeal and/or Judicial Review. To cut a long story short Sainsbury’s got the approval 14 votes for, 3 against. 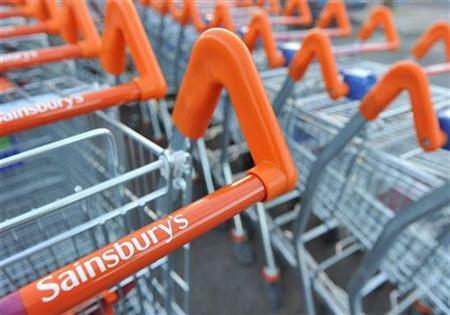 Extra conditions were squeezed out of Sainsbury’s with no more than 20% of retail space for non-food items. A bus too and from the town centre for the life of the store, and not for five years. Lastly an independent survey to be undertaken in two years time to see the impact the store has on the town. Morrison’s being the second application heard faced an almost impossible task of getting approval because the independent report said there was only space for one. Again, to cut a long story short a vote was taken for refusal and was carried 12 votes for, two against and five abstentions. Many felt they had to abstain because of the issue of priority on which application got heard first. This being a very moot point and will no doubt be included in any legal action undertaken by Morrisons. I can help wondering if Morrisons had address the landscaping issues; they might have been first up to bat. Have a few trees and bushes cost Morrisons many millions in lost sales? Of course there is the NON planning issue of Cornwall Council gaining several millions from the sale of the land to Sainsbury’s. But that is not a planning reason, and one that could not be discussed at the committee. However, conspiracy theorist might think otherwise; especially when it comes to who got to go first. It was a tough call today and one that will no doubt happen again when Falmouth, Penzance and Hayle’s applications are heard. Supermarkets, Supermarkets and a Stadium. One of the Committees I am a member of is Strategic Planning. If truth be told I really like this committee because of the different types of applications it covers, and the level of detail you have to go into on each application. For any application there can be literally 100s of pages of technical information, representations (from all parties) and various other important information. All of this has to be read and cross-examined before you make a decision that could change people’s lives. In September and October the Strategic Planning Committee is going to be rather busy. This is because of the number of applications due, and the emotive nature of some (if not all) of them. I can’t recall in the two years I have been on this committee a more busy or important period than the next two months. As you can see, there are some big supermarket applications that include those from Hayle, Penzance, and the controversial Truro East District Centre plan. Included in the mix is the application for the stadium in Truro, which is likely to attract a lot of attention too. Luckily all these applications will be web-casted due the important nature of the applications, and more importantly, the huge public interest these applications are likely to attract. One thing I know is my eyes are going to hurt from all the reading that will be required on each application. Tomorrow is a big day for Hayle in what could be described as the ‘Battle of the Supermarkets’. Four of the beasts all wanting to come and build in Hayle, but only one spot up for grabs. From what I can tell the public are split over which supermarket should win. For every person who says they prefer a certain plan, you find someone against it, or who supports another option. My previous blog on this subject has attracted a lot of traffic and comments. Over 22 people have made comments, some close to the personal mark (not aimed at me), but I have allowed them to enable the debate to carry on. So what is the best plan? That is a very good question which is hard to answer. This though will be needed to be answered by the 21 Members of Cornwall Council’s Strategic Planning Committee. Which way will they go? Who knows. I think it would be easier to pick the Winning lotto tickets for the next 3 weeks than make a call on which application gets the nod. What I do know is that those Councillors present will listen to all the speakers on all sides, the professional officers comments and would have studied the extensive report that has been produced for this meeting. If you have some spare time and want to read this report, then click HERE. Far too long Hayle has sat between it’s bigger cousins of Penzance and St. Ives, and I truly believe that it has been overlooked far too many times for investment. Could these plans be the break Hayle needs, or will it break it’s back and destroy what is left? No matter what decision the Committee comes to, it will be wrong. Why? Well, this is because (as I have said before) there is no clear winner of support by the public or a plan that pleases all the statutory agencies that have been consulted. Planning is never simple, even a house extension can lead to hostilities between groups and neighbours. Let’s hope when the dust settles there will be no long term adverse feelings between the people of Hayle.